With the reduction of investments in renewable energy technologies and the unfortunate clawback of government subsidies announced in 2017, funding for green power initiatives is under pressure. One often forgotten but valuable funding source is research and development (R&D) tax relief – a government-backed scheme to support UK innovation. When combined with private investment or other public aids (such as research grants), R&D tax relief could help to drive further much-needed innovation. Within the scope of wind technologies, for example, the size and power output of individual wind turbines needs to increase so they become commercially viable alternatives to coal plants. There’s also a need to develop advanced mounting bases such as floating wind turbines for installation in deeper seas with high wind resources. control systems – improvements in monitoring and control technologies. The R&D tax relief scheme can support the development of your renewable energy business in a variety of ways. For example, it encourages management teams to be more ambitious and less risk averse before embarking on challenging projects, even in the context of a commercial order. You could use the cash injection to recruit additional essential engineers and scientists to help scale up your innovation, or simply allocate more resources where you need them most. By using R&D tax relief to invest in your business you can also deter potential competitors – keeping one step ahead of them by pushing the boundaries of what’s currently commercially possible. R&D tax relief can be highly beneficial for SMEs. If you submit a successful claim you could receive up to 33% of your total R&D costs as a cash injection. You can go back two accounting periods when submitting claims, allowing you to capitalise on missed years and projects. Furthermore, projects that are already subsidised can still benefit from R&D tax relief, although the treatment would be less generous (similar to the situation for large companies, as explained later in this article). Companies are therefore encouraged to consider whether they could benefit from R&D tax relief. Remember that the Government established the scheme to encourage ‘innovative activity’ – and this takes many forms. R&D tax relief is there to reward companies that have attempted to overcome scientific, technical or perhaps even business challenges through the creation or enhancement of solutions. It’s not restricted to any one industry and goes beyond ‘men in white coats’ scenarios – you don’t have to be working in a lab to qualify. Large companies can also benefit by virtue of an 11% tax credit, increasing to 12% from 1 January 2018. This can be claimed in relation to the innovation, improvement or development of a process, product or service. West London Business member Moore Stephens’ specialist team includes engineers (from mechanical through to construction), software programmers and scientists, as well as specialist finance professionals such as auditors and tax accountants. All team members are experienced in claiming R&D tax relief. 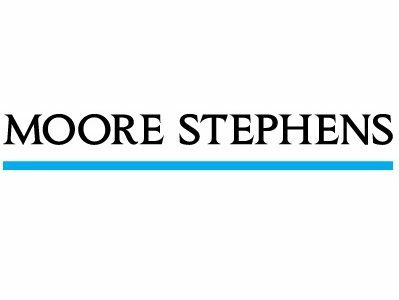 Since the introduction of R&D tax credits in 2000, Moore Stephens have successfully claimed back more than £350m for their clients across all business sectors with a 100% success rate. Please get in touch with Aman Nirwal (aman.nirwal@moorestephens.com) for further advice on how your business could benefit.